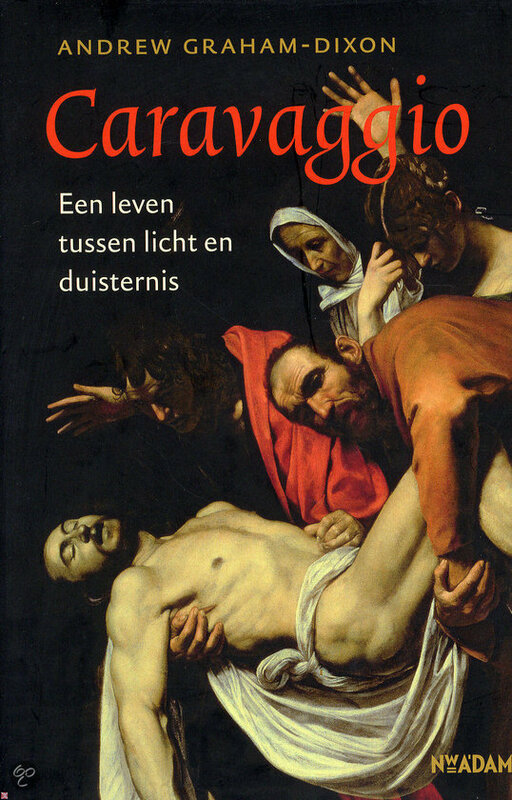 This text on Caravaggio was written by Stineke Dirkzwager, not me, and published here with her permission. We take the metro from the Termini to the Piazza del Popolo and get off at Flaminio. Standing in the Piazza Santa Maria del Popolo, you will see to the right of the city gate the church by the same name that we are going to visit. You and Ruud already visited this church to see Bernini’s statues. Today we are going to take a look at the work of the painter Caravaggio in the Cerasi chapel. Caravaggio had multiple biographers: Mancini, Baglione, Bellori. However, none of them were as enthusiastic as Carel van Mander. They accused Caravaggio of not mastering the fundamentals of his art, i.e. ‘ínvenzione’ (solving a problem), ‘disegno’ (draughtsmanship); ‘decorum’ (dong things the proper way) and ‘arte’ (knowledge of the rules of art). His lack of disegno was allegedly evidenced by his always placing his figures against a dark background with a single light source; he never did a landscape or cityscape. Bellori called ‘the Conversion of St Paul’ a ‘storia senza azzione’, a story without any action. This too was regarded as a lack of technique. Bellori did appreciate the fact that Caravaggio painted ‘al naturale’ but argued that he took this much too far; his failure to adhere to the rules made him guilty of ‘superbia’, pride and hubris. However, he was highly praised for his ‘colore’, i.e. the way he used colour to bring his figures to life. What makes Caravaggio’s work (despite these criticisms) so remarkable is his down-to-earth interpretation of the supernatural. He painted real people and used beggars and prostitutes as models. His paintings caused an uproar, particularly among the common people. 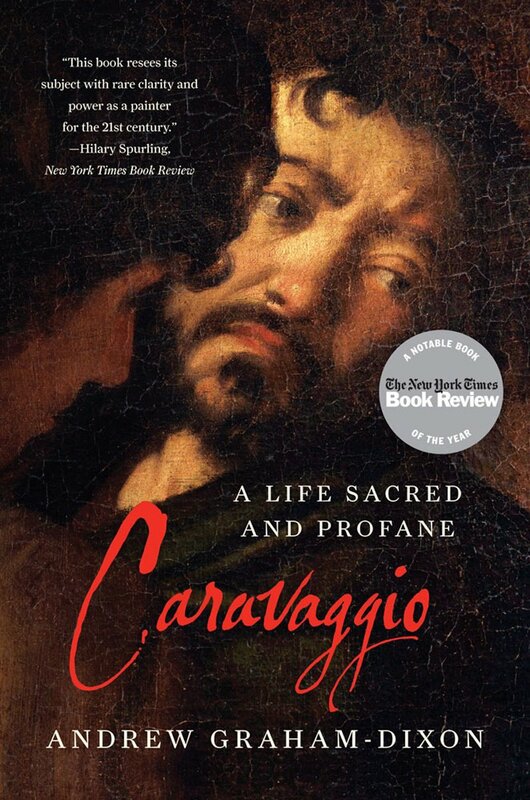 In his book on Caravaggio, Hibbard says: “He must have been the talk of the town”. His pictures appear to be set on a stage; he created three-dimensional figures and placed them in a space without defining it. He knew how to play with artificial light to create depth, emphasize an action or create a certain mood. Author Alberto Manguel in his book ‘Reading Art’ devotes a chapter to Caravaggio entitled The Image as Theatre. And that is what Caravaggio’s work appears to be: theatre. He is neither corn nor chaff / he does not devote himself to his studies / but having worked for a fortnight / he takes off for a month or two / with a sword on his hip / and a servant following him / from one fives court to the next / spoiling for trouble and a fight / so he is very difficult to be with. And that’s the way it was: when he had an assignment, he locked himself up and worked really hard, but afterwards left things as they were and took off with his mates, armed and looking for trouble. Shakespeare, also one of Caravaggio’s contemporaries, described this type of person in his play Romeo and Julia as Tybalt and his companions. Mancini, yet another biographer called Caravaggio ‘stravagantissimo’, which loosely translates as ‘bonkers’. The painter was repeatedly prosecuted for his violent behaviour. One day, he attacked notary public Marino Pasqualone in the Piazza Navona for allegedly calling Lena, one of Caravaggio’s models and a friend, a whore (which she probably was). He fled to Genoa where he stayed for three weeks, but eventually returned and offered his apologies. Many of his offences were overlooked because he was such a great artist, but on 28 May 1606 things got completely out of hand: an argument over money that was allegedly won during a game of tennis. Caravaggio beat his opponent to death, he himself was seriously injured. He fled Rome and eventually ended up in Naples. In 1610 he tried to return to Rome but he was sick and died half way through his trip. He was not quite 40 years old. In 1986, Derek Jarman made a film about Caravaggio’s life. Caravaggio’s real name was Michelangelo Merisi. He was born in Milan in 1571 and grew up in the town of Caravaggio, 43 km east of Milan. He was named after this town, maybe to avoid confusing him with that other Michelangelo. At age 13 he became an apprentice to a Milanese painter called Peterzano. From him Caravaggio learned to drawn and to paint frescos and oil paintings. Unfortunately, none of his frescos from this period have survived. The technique apparently didn’t suit Caravaggio, because he – as far as we know – never used it. He didn’t make any drawings either. There is a good chance that during his stay in Milan, Caravaggio did get to see works by Titian, Tintoretto and Giorgione, he may even have visited Venice. He was undoubtedly influenced by these painters; the composition of the Martyrdom of Matthew, which we will see at the San Luigi dei Francesi is reminiscent of Titian, but his loose brush technique is definitely not found in Caravaggio’s work. In 1592 he left for Rome, where Clement VIII was pope at the time. It was a period of growth, stability and prosperity. New churches and palaces were being built, old ones restored and embellished. In 1600 Rome had about 110,000 inhabitants, with men forming the vast majority. As a result, prostitution was flourishing. About 10 % of the population belonged to the clergy. Many pilgrims visited Rome, in the holy year 1600 about half a million. There was a lot of work for artists. Cardinals, rich bankers and lawyers commissioned work to start or expand a private collection. The papal court was incredibly rich, even though Clement VIII was known for his austerity. Caravaggio found work in the studio of Guiseppe Cesari, a.k.a. Cavaliere d’Arpino. He was the most prominent painter at the papal court: his style was mannerist, inspired by Rafael’s frescos in the Vatican. In Cesari’s studio Caravaggio initially studied painting still lifes. It is not known how long he worked at Cesari’s studio. His earliest works date from this period, for instance his self-portrait as Bacchus (also known as the Young Sick Bacchus, ‘Bacchino malato’, ca. 1593-94) and Boy with a Basket of Fruit (ca. 1593-94), which you have seen at the Galleria Borghese. Both paintings are a combination of a portrait and a still life. They probably also contain some kind of symbolism. Boy with a Basket of Fruit could symbolize the transitory nature of time. Caravaggio had to sell paintings to make some money. Through friends, his paintings were put on display at a kind of gallery next to the San Luigi dei Francesi. This is how they caught the attention of Cardinal del Monte who immediately bought two and subsequently added Caravaggio to his household. The cardinal was his main patron until 1601. Through Del Monte Caravaggio came into contact with Rome’s ruling elite and so with two other important patrons: the Marchese Vincente Giustiniani and Ottavio Costa. Both were rich bankers with an eye for new trends in art. He was a made man. The paintings we’re about to see all have religious themes. Caravaggio also painted mythological themes and genre paintings; some of which you will see at the Galleria Borghese. First we will visit the Santa Maria del Popolo. There is much to see in this church, but I’m afraid we will only have time for the Cerasi Chapel. The emperor Nero reportedly once lay buried at the site where this church was built. Before construction began, Pope Paschal II (1099-1118) had all human remains that were found at the site thrown into the Tiber. The church was reconstructed many times in the following centuries. The current version mainly dates from the 15th century with few later additions by Bramante and Bernini (for example in the facade). Pope Sixtus IV had a monastery built next to the church and gave both to the Augustinian friars. Maarten Luther stayed at this monastery in 1511. When Caravaggio had only just completed the side walls of the Contarelli Chapel, which we will see later, Monsignor Tiberio Cerasi commissioned him to paint two paintings for his funerary chapel. Cerasi, an important financial official at the papal court, in 1600 purchased the patronage rights for a chapel in the Santa Maria del Popolo, in a prominent spot left of the main altar. He wanted the two hottest painters in town to decorate his chapel: Annibale Carracci and Caravaggio. Annibale was commissioned to paint the altarpiece and the frescos on the vault. The altarpiece depicts the assumption of the Virgin Mary (the church was dedicated to the Virgin Mary) and the paintings on the side walls are of St Peter and St Paul, Rome’s patron saints. Carracci had sought to pre-empt his rival [Caravaggio] by creating a work designed to reassert the values of idealized beauty, splendid colour and lofty transcendence. In doing so, he may have hoped to sow seeds of self-doubt in Caravaggio’s mind. But the younger painter was only spurred on to a more blatant statement of his own, very different priorities. In place of Carracci’s emotionless splendour of effect he offered up his own spare, low-toned, militantly ‘poor’ art. Carracci had used rich colours, colours that literally embodied wealth and magnificence, like the celestial blue of the Madonna’s cloack, painted in the costly, medium of ultramarine. In stark contrast, Caravaggio kept rigorously to a palette of humble, ordinary, cheap colours: the earth colours, ochre and umber, carbon black, lead white, verdigris. The use of costly ultramarine was actually specified by Cerasi, who doubtless wanted posterity to know that no expense had been spared [Click here for more information and a video about ultramarine] […] The lives of Christ and his followers were neither rich nor splendid. Their deaths were brutal. Caravaggio insists on these home truths in every detail of the Cerasi Chapel paintings, whether it be the glint of the crouching executioner’s spade or the balk dirt so deeply ingrained in the upturned heel and ball of his left foot. […] As a parting gesture to his rival, as if to stress the depth of his disdain for Carracci’s brand of vapid magnificence, Caravaggio contrived a cunning insult: the rump of St Paul’s proletarian carthorse is pointedly turned towards Carracci’s Assumption of the Virgin. When we get there I will explain the extent to which these two painters influenced each other during this assignment. According to Baglione, Caravaggio made earlier versions of both paintings. The originals were painted on cypress panels as stipulated in the contract: ‘duo quadra cupressis…in altero videlicet misterium conversionis sanctorum Pauli, et in alterum martyrium Petri apostolorum’. (two paintings of cypress, the one showing the miracle of the conversion of St Paul, the other the martyrdom of St Peter (from Treffers p. 113). Caravaggio was given eight months to complete the assignment. The two paintings currently hanging in the chapel were painted on canvas. There is in fact a ‘Conversion of St Paul on cypress panels; it is very well possible that the initial versions were rejected by Cerasi, as is often thought. He never saw the eventual paintings because he died prematurely. The conversion of St Paul is described in Acts of the Apostles (9: 3 -9). The Roman official Saulus is on his way to Damascus to persecute the Christians there. Suddenly, he is blinded by a divine light and falls off his horse. The voice of Christ rings in his ears, “Saulus, Saulus, why do you persecute me”. He remains blind for three days, after which he converts, is baptised as Paul and begins to preach. In the first version Caravaggio expressed the tumultuous confusion surrounding St Paul’s conversion. The composition is reminiscent of the Martyrdom of St Matthew that we will see in the Contarelli Chapel. The second version, which is here, is totally different. There is no background, hardly any dynamic. Most of the attention is actually focused on the horse, which looks rather forlorn. The main element is the light, which comes from the top right corner and falls on the face and body of the saint. His arms are spread out, a reference to the Crucifixion of Jesus. Across from the Conversion of St Paul hangs the Crucifixion of St Peter. St Peter was crucified upside down because he believed he was not worthy to die in the same way as Jesus. There are no witnesses to the crucifixion. All attention is focused on the physical and emotional ordeal of St Peter. His face is the only one visible; his gaze follows his left arm toward the altar, where salvation can be found. This composition is probably based on the first version of the crucifixion of St Peter, or so Treffers says. In his composition, Caravaggio took the position of the viewer into consideration. The chapel is quite narrow, which is why he placed the apostles diagonally in the image plane. It seems like the buttocks and the dirty feet of the Crucifixion are shoved into your face. Some people have argued that the buttocks are a sneer at Annibale (Hibbard page 136), even though Caravaggio did appreciate his competitors work, whom he considered a worthy adversary.